Scarlett Moffatt is a reality television star turned presenter from Bishop Auckland, County Durham, England. She was born in 1990 and is aged 28. Scarlett began her career on MTV’s Beauty School Cop Outs before moving in to mainstream reality shows. Who is Scarlett Moffatt and what TV shows has she appeared on? Scarlett Moffatt rose to fame on Channel 4 series Gogglebox. Scarlett went on to win series 16 of ITV’s I’m A Celebrity… Get Me Out Of Here and co-hosts Saturday Night Takeaway. She also presented the 2017 National Television Awards alongside Dermot O’Leary and presented the last series of Streetmate. What is Scarlett Moffatt’s background? Scarlett was born in 1990 to parents Betty Moffatt and Mark Moffatt, who both appeared alongside Scarlett in Googlebox. The couple eventually bowed out of the show before series nine aired in 2017. How much is Scarlett Moffatt worth? According to the Mirror, Scarlett has amassed a fortune of around £1 million since she left I’m A Celebrity. She has made money through various advertising deals and also released a fitness DVD, Scarlett’s SuperSlim Me Plan. The DVD sold 60,000 copies, however she came under fire from angry fans when a Sun on Sunday exposé found she had attended a boot camp to lose the weight. What is Scarlett Moffatt’s relationship with Ant McPartlin like? Reports have claimed that Scarlett had an affair with Ant McPartin after they met on I’m A Celebrity. Scarlett has since denied the claims as ‘ludicrous. Scarlett co-presented the series finale of Saturday Night Takeaway with Declan Donnelly, after Ant booked himself into rehab to tackle an alcohol and painkiller addiction problem. Will Scarlett Moffatt return to I’m A Celebrity? Yes, Scarlett has been asked back to host I’m A Celebrity 2018 alongside Declan Donnelly in the absence of regular partner Ant McPartlin. Does Scarlett Moffatt suffer from an illness? Yes, Scarlett has suffered from Bell’s palsy since she was 11 years old. Bell’s palsy can cause facial paralysis. It is a condition that causes temporary weakness or paralysis of the muscles on one side of the face. Where does Scarlett Moffatt live now? Scarlett splits her time between the north-east and London. She bought a £300,000 house in her hometown of Bishop Auckland, County Durham, in 2017. A luxurious cottage in a small village, Scarlett’s house reportedly boasts a cinema, games room, open plan kitchen and a stunning central staircase. Did Scarlett Moffatt attend university? Yes. Scarlett Moffatt studied PE and Sports Coaching at York St John University where she graduated with a 2:1 undergraduate degree. No. 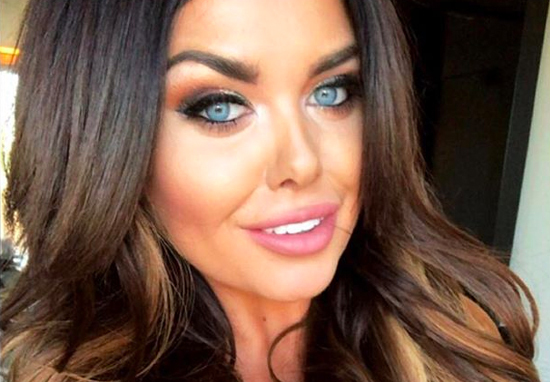 Scarlett Moffatt is not pregnant. But she was linked to rumours of pregnancy in 2017, to which she strongly denied. Scarlett Moffatt also accused people of ‘fat shaming’ her for accusing her of being pregnant. Did Scarlett Moffatt lose weight? Yes, Scarlett underwent a massive transformation in 2017, losing three stone in 12 months. She dropped from 11st 4lb to 8st, lost an astonishing 11in from her waist and went down six bra cup sizes, from a J to a DD. Is Scarlett Moffatt in a relationship? The Mirror reported that Scarlett was in a relationship with fitness model Lee Wilkinson, who trains students in County Durham. However, reports state that the couple split in April 2018, with Scarlett branding Lee a ‘cheating pathological liar’ on social media.